Acellus STEM-10 is a major initiative engineered to significantly increase the number of students prepared for high-tech careers right out of high school. Rather than the usual games associated with STEM, this program is a serious educational endeavor. STEM-10 is a cohesive 10 year program that starts with students in the 3rd grade. The first 6 years of the program focus on STEM instruction, starting with coding in the 3rd grade, and adding complexity each year. In the 9th grade, students then branch into a Career and Technical field that matches their interest. The Acellus STEM courseware acts as a catalyst for Acellus CTE (Career and Technical Education) programs, focusing students on the CTE Pathway that best fits their interests, skills and career goals. Students completing Acellus CTE courses are empowered with marketable skills and industry certifications, allowing them to pursue a college degree, or enter the workforce immediately after high school. 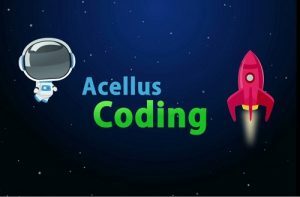 The Acellus coding instruction is self-contained and delivered right through the Acellus system, enabling schools to implement STEM-10 in classrooms where a STEM trained teacher is not available. 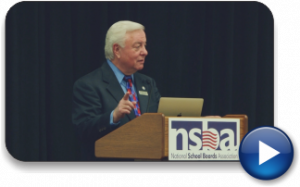 The coding courseware is video-based, and adaptive to the students individual needs, allowing schools to personalize the STEM instruction to the level and skill-set of each learner. In the first year of STEM-10, students take lessons starting from square zero and then advance step-by-step through the fundamentals of coding. In the first half of the year, the course builds a baseline understanding of the concepts needed to learn coding. In the second half of the year, the students are introduced to Cellus Bot, a teaching robot which is equipped with lights, motor, and sensors, all of which are controlled by block coding modules included as part of the course. As an additional touch, the Bot sports a laser which draws shapes and circles as the robot dances. 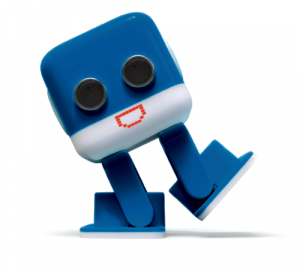 The built-in accelerometer supports program-controlled responses to movements and positioning of the Bot. Students first learn how to control the robot in the most simplistic manner, but the lessons develop in complexity as the course progresses. In the second year of STEM-10, students are introduced to a sophisticated new dancing robot called AC-D2 which is equipped with snazzy lights, ultrasound sensors, and multiple motors. AC-D2 comes ready to move. It can sway, twist, and dance around with approximately 10,000 possible step combinations giving it great style on the dance floor. Introducing Acellus STEM Robotic Labs… Where students learn, discover, and create in a hands-on environment designed to prepare them towards STEM careers in the real-world. 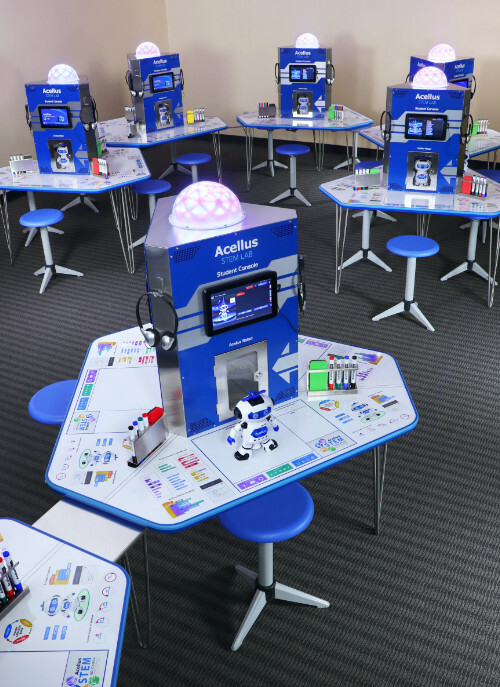 The new Acellus STEM Robotics Lab creates an environment tuned to give students a discover-and-create learning experience. 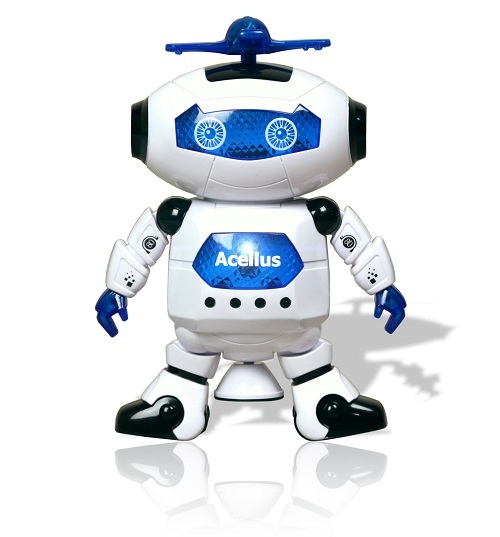 Rather than only working through a simulated environment, Acellus STEM Labs provide students with an actual robot to program, called Cellus Bot. The Acellus STEM Lab program empowers math and science teachers to offer effective coding and robotics courses without the need for extensive additional training. For dedicated deployments, specially designed STEM Learning pods include all the tools exceptional learners need to be creative and productive – the right lighting to set that relaxed/stimulated mood, seating that is firm but not confining, a handy place to jot down notes, and touch screen monitor to interact with the program. The Acellus STEM Lab utilizes cognitive instruction, a method of instruction that achieves student learning through the process of acquiring knowledge and understanding through thought, experience, and the senses. Find out what it would cost to deploy Acellus STEM Labs in your school. The Acellus Coding course gives step-by-step video instruction — posing problems which students experiment to solve – first mentally, next in simulation, and then in a real-world application — programming their own robot – the Cellus Bot. Immediate feedback on their work comes to them visually via the video console — and also directly from their new learning pal, the robot. Alternatively, courses can also be offered with graphic simulation of the robots on conventional computers or tablets, without the need for specialized equipment. Within the Coding Course, students also learn how to program in the Blockly coding language. In Blockly, everything is done with little building blocks that snap together in an intuitive way. Coding in this way allows students to focus on the fundamental principles of coding without the challenging initial learning curve required for traditional programming languages and instead of only working through a simulated environment. Students will be led through activities with incrementally more advanced building blocks. Each block is similar in structure to the syntax and style of real world programming languages. As students learn to program by snapping blocks together, they are laying a foundation for more advanced programming languages. Students will learn about conditional statements, loops, and functions. 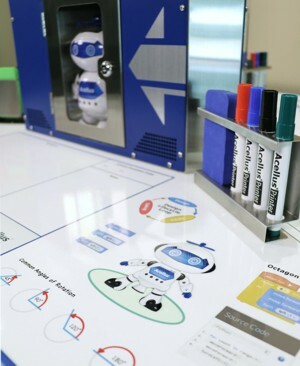 By combining powerful on-camera instruction with interactive tutoring to the student by the robot, Acellus is able to provide schools with STEM courses that can be up and running overnight. A focus of the International Academy of Science to help schools deploy Acellus STEM Robotic Labs and STEM curriculum for their special needs learners. Recent studies from credible sources show that a higher percentage of special education students transition into STEM related careers, when compared to other students. 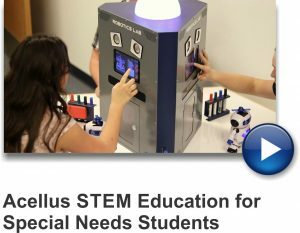 Integrating Acellus STEM Robotics Labs into the special education environment allows educators to prepare classified students to be college-ready, and prepared for a successful career. The Acellus STEM Robotics Lab is optimized to cater to exceptional learners, especially those classified with Autism Spectrum Disorder (ASD). A recent study found that of ASD students who attend college, 34% choose a STEM-related career — as opposed to only 20% of their college peers. This, coupled with estimates that the number of STEM related jobs could reach 8.6 million by 2018, magnifies the importance of preparing special needs students to transition into college/careers preparing them to succeed in STEM related fields. “In a 2012 study published in the Journal of Autism and Developmental Disorders, scientists found that students diagnosed with autism had the highest STEM participation rates. By examining 11,000 students nationwide, they found that young adults diagnosed with an autism spectrum disorder chose STEM majors in college more often than their peers in the general population — 34 percent versus less than 23 percent”. Not only do special needs students gravitate towards STEM careers, but the career opportunities in STEM fields, such as computer science, have exploded over the past few years, and it is anticipated that the demand will only grow over the next decade. 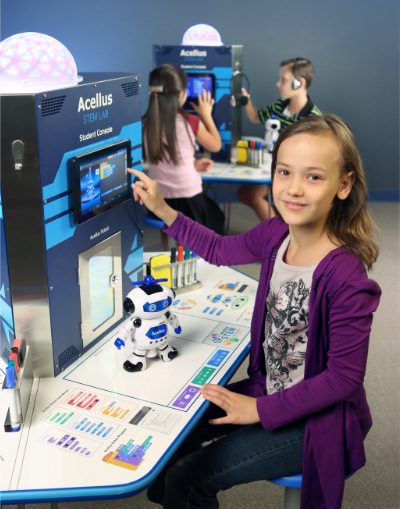 To request information on how to get the Acellus STEM Robotics Lab for the special education learners in your school or district, please contact the International Academy of Science by phone, or via our contact form.